Archeology is one of those romantic endeavors that few of us would have the gumption to pursue. It’s not about not having the stuff to swashbuckle like Indiana Jones — although that’s probably true. It’s the massive patience, the willingness to endure heat and cold and the sheer perseverance to sift through tons of dust or mud to bring hidden treasures of the past to light. And all that for peanuts in pay — if you can even find a job doing it. But luckily some people are eager to brave all obstacles so they can wrest truth about the past from the bowels of the earth. 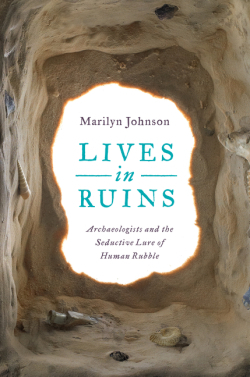 Marilyn Johnson tells the stories of these unsung heroes of archeology in her new book Lives in Ruins. The discoveries of these hardy scientists illuminate our human origins, reveal ancient recipes for alcoholic brews, solve crimes and honor fallen soldiers of our Revolution, to mention just a few of the stories in the book. For Lives in Ruins Johnson got down and dirty with her subjects, going on digs in the Mediterranean and Caribbean. One comes away from this romp through the ruins with a real appreciation for those who make their living in them. 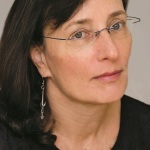 Marilyn Johnson likes to write about the lesser known corners of the job world. She’s written a book about obituary writers, a bestseller called The Dead Beat, and another about librarians, This Book Is Overdue. Novels set in academia comprise their own corner of the literary landscape. Some are serious in mood, like Philip Roth’s The Human Stain; others are murder mysteries, like Dorothy Sayer’s Gaudy Night. But a large number of campus novels are satires that skewer the characteristic foibles of homo academicus. 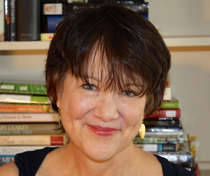 The novel is entirely in the form of letters of recommendation, or LORs, written by English professor Jay Fitger. Vain and arrogant, he’s not terribly likeable — but, oh, does he have a way with words, and a bone to pick. He can’t help but turn his LORs into rants about the desperate state of the humanities in contemporary academia — the hemorrhaging of students, the drought of funding, the disregard for teaching and the erosion of culture. These are serious issues indeed, but Schumacher’s book has the reader laughing amidst the tears with its brilliant wit and rapier-like language. 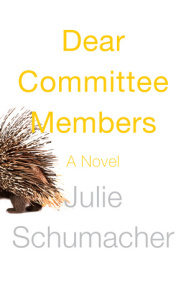 Like her protagonist in Dear Committee Members, Julie Schumacher is a professor of creative writing; she teaches at the University of Minnesota. 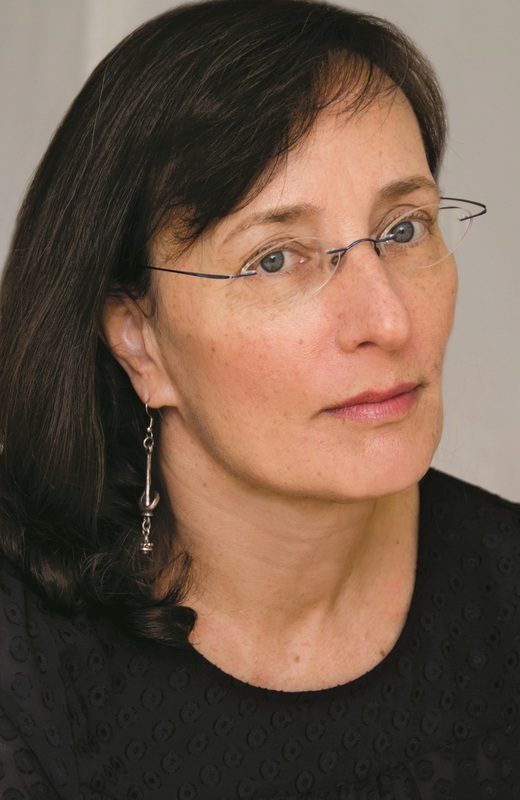 She’s also the author of the novel The Body Is Water, a short story collection, and five books for younger readers.